Carlos A. Acevedo was born in Washington, D.C. on August 7, 1968. He obtained his law degree from the Pontificia Universidad Javeriana in Bogota, Colombia, in 1992, where he was a founding member of the Xavier Forum of Jurisprudence and Legal Doctrine. Carlos next attended American University's Washington College of Law in Washington, D.C., where he received a Master of Law degree in International Legal Studies in 1995. Since 1992, Carlos has been admitted to practice law in the Republic of Colombia, a civil law jurisdiction. He has been a member of the New York Bar since 1999. He is also admitted to practice before the Supreme Court of the United States, the Eastern District of New York and the Southern District of New York. Beginning his career as a foreign associate of a Washington, D.C., law firm, Carlos specialized in handling high-value cases, as well as serving as a liaison to the Hispanic community. Before joining our firm, Carlos served as Commercial Secretary of the Embassy of Colombia in Washington, D.C. where he handled numerous trade matters for the Colombian government, with special emphasis on smuggling/money laundering, intellectual property rights, trade compliance, tuna-dolphin issues, as well as government procurement, safeguards, and antidumping issues. He also researched and advised Colombian authorities on legislative, administrative, and judicial developments affecting the trade and commercial interests of Colombia. Very supportive of his alma mater, Carlos has served as Vice President of the American University LL.M. Alumni Association. He has authored many papers, including Narcotics De-certification: Legal Framework and Implications, SWAPS: A Solution for the Colombian Debt Problem? and The Past and Present of the Tuna-Dolphin Dispute. His most recent paper, Foreign Direct Investment in Colombia, has been published as part of a compendium of foreign direct investment law throughout the world. His recent conference and seminar presentations include Money Laundering and Free Trade Zones, Black Market Peso Exchange, and Commodities-based Money-Laundering Systems. Carlos speaks several languages, including English and Spanish, and is conversant in several others. 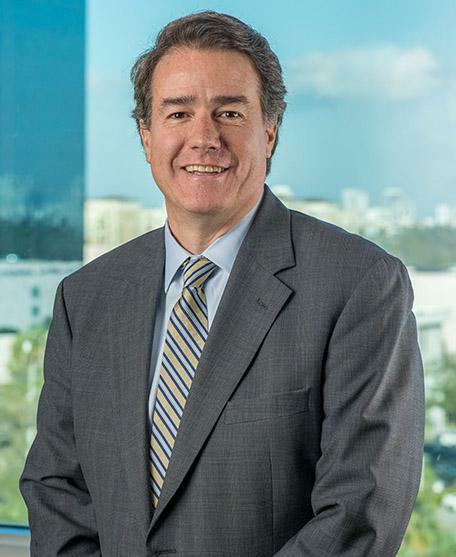 Carlos joined Krupnick Campbell Malone in 1999 and has focused his practice in the international arena, serving as counsel to multiple foreign governments in civil litigation in the United States, as well as actively participating in several of the firm's significant international cases. His training in economics, trade, and international law, has added a unique perspective to the firm.